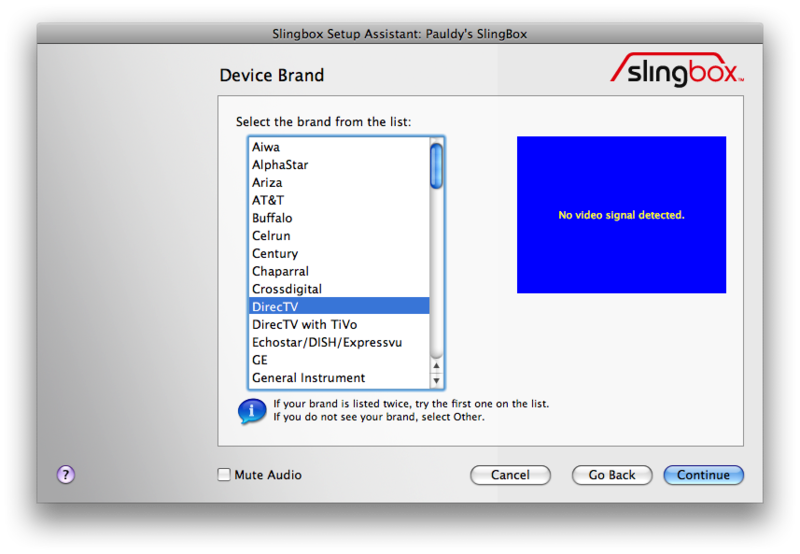 Finally laid my hands on a Slingbox AV unit from woot.com to go with my Zenith DTT900 digital tuner. The intent was for this to go straight into my rack and used whenever I find myself wanting to have the TV in the background while I’m on the computer in the office. The only problem is they don’t support the DTT900. So I setoff to make my own remote and while in the process of reverse engineering from of the config files for Remote Master I got frustrated and took a break starting playing with just randomly trying remotes and I found one that worked. To get it working you simply follow the selections in the screen shots below. The device is a Direct TV LG receiver. Here you want to test the power button. If it doesn’t work try checking the connection on your IR cable and just make sure the IR emitters are pointed at the plastic in the front of the device. The plastic seems to diffuse the IR signal and gets it to the receiver from almost any angle. Here I experimented with the various settings and found if you press 3 it brings up channel 33 in my area so I had it go with a single leading zero when direct tunning a chanel. Doing multiple zeros sends it into the sub-channel when tuning and since the device does not tune past 69 it seemed ok to use this method to get direct tuning working. I also added the press enter to make tuning faster. Test the setup click the checkbox and it should be good to go. Since I have this working I’m content with the generic remote. 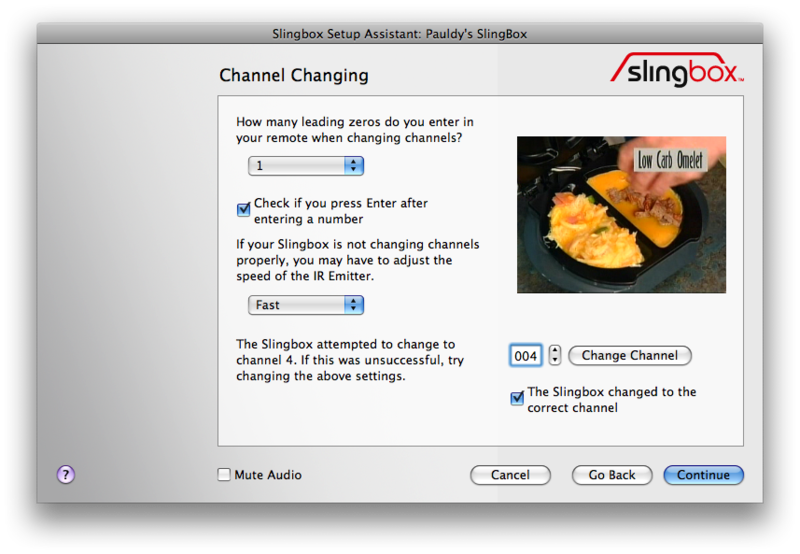 If anyone is interested in making a remote with the actual I will upload the image file, map file and other information I had gathered to get this working before discovering the guide I was following only left me with a bin file for telling the slingbox the command set instead of building the full remote plus commands file. Download here Zenith DTT900 Remote.zip.